India's hockey authorities are investigating an allegation that the coach of the women's team sexually harassed a squad member. Team coach MK Kaushik has denied the allegation against him. Mr Kaushik, a member of India's gold medal-winning men's team at the 1980 Moscow Olympics, has stepped down while the inquiry takes place. 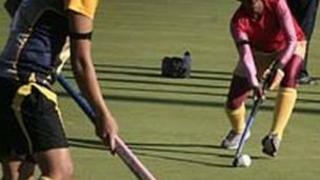 A deputy coach will lead the women's team during this month's Asian Champions Trophy in South Korea. News of the inquiry came as hockey officials suspended another member of the women's team staff, who had been photographed with prostitutes on foreign tours. Hockey India president Vidya Stokes said Mr Kaushik had stepped down "because he wants his name to be cleared". "I must talk to the coach and the girl who has made the allegations of sexual harassment separately," she told reporters. "In the meanwhile, the assistant coach will travel with the team." Mr Kaushik told The Times of India the accusations against him were a "big-time conspiracy". "I don't know who has written the letter," it quoted him as saying. He added: "I will prove my innocence." Mr Kaushik's decision to step aside has raised fears over how the women's team will fare in the hockey World Cup in Argentina. "Hopefully the panel will give its recommendations before next month's World Cup so that we can either get a new coach or reinstate Kaushik if he is found innocent," Hockey India's secretary general Narinder Batra said.